lots to discover along the road including a fire-station, garage, hospital, town-hall, residential and commercial areas. Complemented by the Le Toy Van vehicle sets. 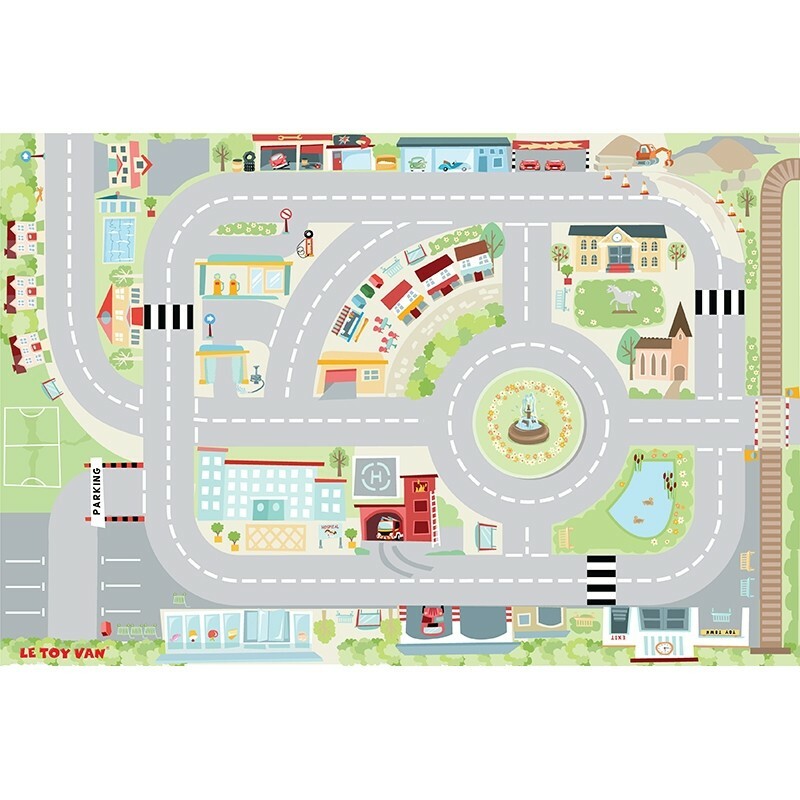 One of 4 'My First Playmats' from Le Toy Van that can put together to create a giant playscene.